Career publican Brendan Lawless has put to market his NSW north coast portfolio, comprising the popular Commercial Hotel ‘Middle Pub’ Mullumbimby and Ivory Tavern in Tweed Heads. 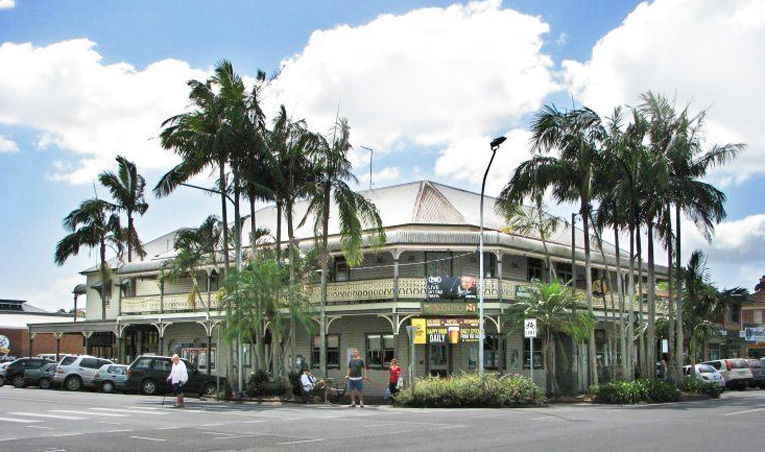 Lawless took root in the extremely tightly-held region when he bought the Commercial Hotel at Mullumbimby from a multi-state group. Known locally as the Middle Pub, on ground level it offers a public and lounge bar, 80-seat bistro, gaming room with 15 PMEs and games room, the first floor holds 16 traditional pub rooms plus four suites with en-suites. It was built 1904 on a 1,146sqm site on the main street through the CBD. Mullumbimby is a town of around 8,000 people, approximately 20 kilometres inland from Byron Bay. In early 2017 Lawless went on to acquire the waterside Ivory Tavern, perched over the magnificent Tweed River, just 50 kilometres north of Middle Pub, taking option on the freehold going concern from a Brisbane-based developer. 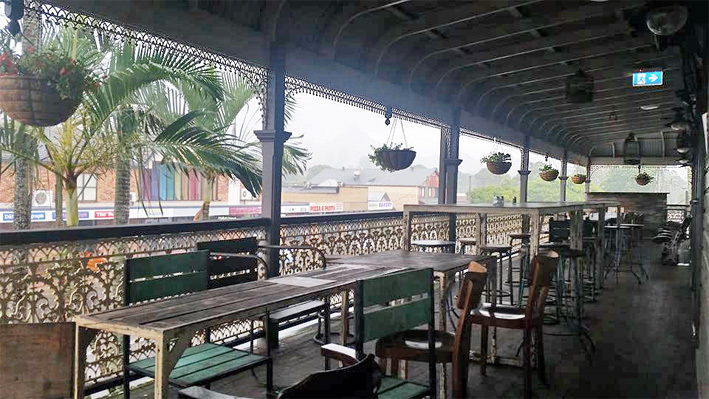 The large-format two-level Tavern occupies a big 8,830sqm block with expansive views, offering a bar, bistro, gaming room with 15 PMEs, function space, manager’s unit, beer garden and 114 off-street parking spaces. The Tavern also holds title to a 32-boat marina, currently leased in one line and producing over $200,000 annual income. Lawless has embraced the region, tailoring menu and beverage options to suit both the local community and high number of tourists to the area. “Northern NSW is just such a great spot; you are on the doorstop of Byron and the Gold Coast, with some of Australia’s best beaches not far away. It’s only a short flight from Sydney, so the pubs really are a lifestyle opportunity and a solid business,” he says. Looking to take a hiatus, Lawless has listed the two assets – as freehold going concerns, but also taking offers on the leaseholds. “I want to do some travel and perhaps live in Europe for a while,” he explains. “I have been in the industry for the best part of 30 years and I feel that now is the right time to take a bit of a step back. The portfolio is being marketed by HTL Property directors Glenn Price and Blake Edwards, expecting strong interest from both sides of the border. “With over 33,000 people based in the Byron Shire permanently, and over 4.5 million domestic and international travellers visiting the area each year, there are very strong commercial prospects for the area going forward,” suggested Price. The Middle Pub and Ivory Tavern are on offer separately or in one line, as freehold going concerns or leaseholds, via an Expressions of Interest process closing 14 March.